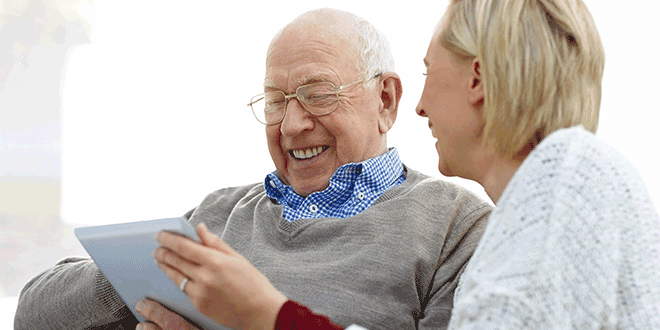 ONE of Australia’s leading aged care and retirement living providers has launched a new website that aims to help seniors and their families understand and navigate the aged care industry. St Vincent’s Care Services launched its new website — www.svcs.org.au — on May 1, and said the design of the service has been inspired by senior Australians. St Vincent’s Care Services chief executive officer John Leahy said the website aimed to help users familiarise themselves with the range of services provided by the organisation, and assist them in identifying their care and support needs. “When we first started drafting the framework for our website, a key issue we identified was that in many cases seniors and their loved ones may recognise they need additional care and support, but aren’t sure of their options,” he said. “Often our clients and residents have been directly referred to St Vincent’s through someone they know, but assume we only provide residential aged care, which they may not necessarily be in the market for. “Our new website allows users to tell us a little more about their care needs and their lifestyle preferences, and then walks them through the different options we offer so they can see that aged care and retirement living is no longer one-size-fits-all. Visit www.svcs.org.au to view the new website and find out more about St Vincent’s Care Services.